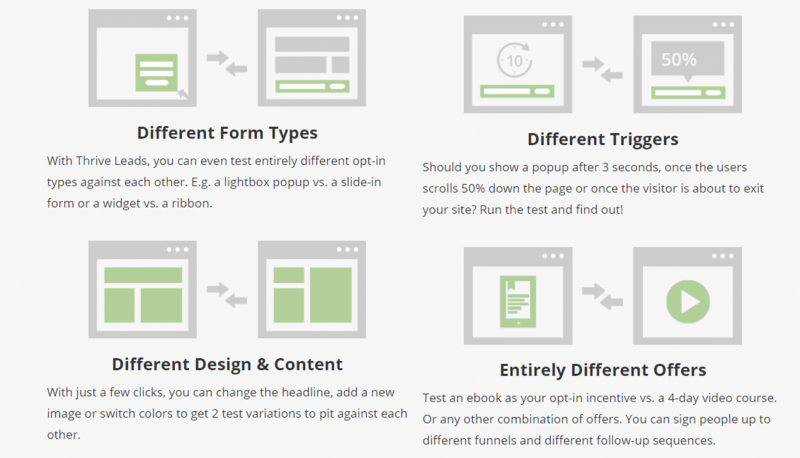 Apparently, the Thrive Leads and Covert Pro look pretty similar since both are WordPress plugins that offer front end visual editor to create excellent conversion oriented opt-in forms to get your mailing list bigger. However, there is more to the picture than meets the eye and you can certainly figure out the exact differences Thrive Leads Vs Convert Pro through this post. To begin with, Thrive Leads offer comparatively more templates than Convert Pro. While Convert Pro offers 62 templates, Thrive Leads offer 561 templates. However, needless to say, both the plugins offer brilliant conversion focused templates as you can see the demos here. When it comes to pricing, Thrive Leads offers packages with various site license limitations such as 1 site license for $67, 5 site licenses for $97 and 15 site licenses for $147. However, with Convert Pro, you can get an unlimited license for either an annual subscription of $99 per year or a one-time fee of $399. As far as money back guarantee is concerned, Thrives Leads offers a money back guarantee of 30 days while Convert Pro offers a money back guarantee of 14 days. The Thrive Leads plans can be ideal for those with single site requirement and that way, they can have a lead conversion tool within their budget but for agencies that need to handle many clients, only 15 site license may a little too less. As far as A/B testing, triggers and targeting are concerned, I found both Thrive Leads and Convert Pro to work equally good in determining the visitors’ behavior and customizing the user experience to a large extent. However, you actually need to integrate the Convert Pro plugin with Google Analytics to view the A/B testing results while Thrive Leads offers a comprehensive suite of reports within the WordPress dashboard itself. With Convert Pro, you can actually experiment with q few extra advanced triggers such as scheduling start and stop dates for individual opt-in forms or use the Ad Blocker detection feature to encourage the visitors to turn off their ad blocker extension to view the opt-in form. Thrive Leads does not have these features. If we consider email marketing service integration, both Thrive Leads and Convert Pro offer integration with all the major email marketing service platforms. Lead generation tools can be a little complex to use initially and you may need very active support to assist you while you are locked away. This is the reason that Thrive Leads offer one year of free support for the first year on all its packages. However, after the first year, you can extend the support by paying an additional amount every year. In the case of Convert Pro, the onetime unlimited plan offers unlimited support. However, for the annual plan, you will have to get the support renewed yearly. Thrive Leads and Convert Pro is actually pretty close to each other in terms of almost every aspect and the important differences that I had figured out all along the testing are in terms of pricing, speed, number of templates and, of course, a few advanced triggers. If you are an agency, buying the unlimited Convert Pro plan for a one-time fee of $399 will certainly worth your while or even you can choose a yearly plan for $99. 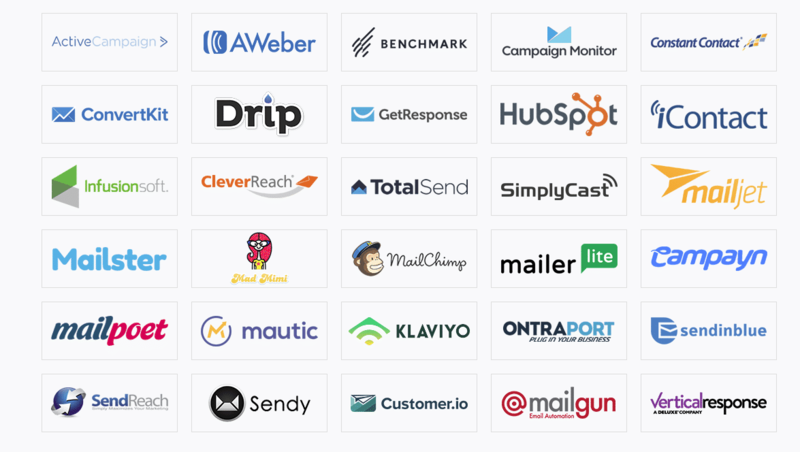 On the other hand, Thrive Leads priced at $67 comes with lifetime updates for a single site license, being a matured product Thrive Leads has a lot of integrations with 10x more templates than Convert Pro. Though we have written similar articles like comparing Thrive Leads with Sumo, OptinMonster, we recommend Leads as the best but when it comes to Convert Pro, I recommend both as the Best in their own aspects.